1. Rinse the broken wheat and drain well. 2. 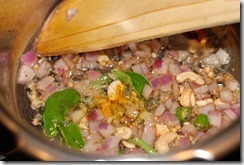 Heat oil in a small pressure cooker / cheena chatti/ wok at medium heat. Splutter mustard seeds and fry dried red chilly, urad dal and cashews. When cashews turn golden, add a pinch of hing. 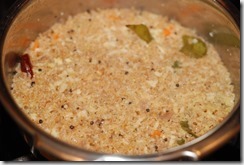 Stir for a few seconds and add onion, ginger, green chilies and curry leaves. Stir until onion turns transparent. 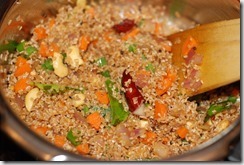 Add a pinch of turmeric powder and mix well. Add carrot, green beans and a pinch of salt. Saute for a minute. Add the drained broken wheat and mix well. 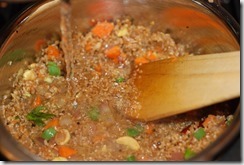 Saute for 1 – 2 minutes. 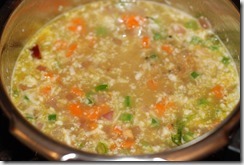 Add hot water and salt, to taste. 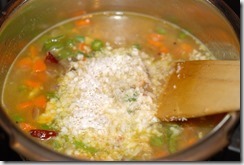 Finally add 1/2 tsp lemon juice, if using and grated coconut. Mix well. Taste-check for salt. Cover and cook for about 20 minutes at low-medium heat until done (add more water, if required) or Pressure-cook for 1 – 2 whistles. Open the lid after 10 – 15 minutes. 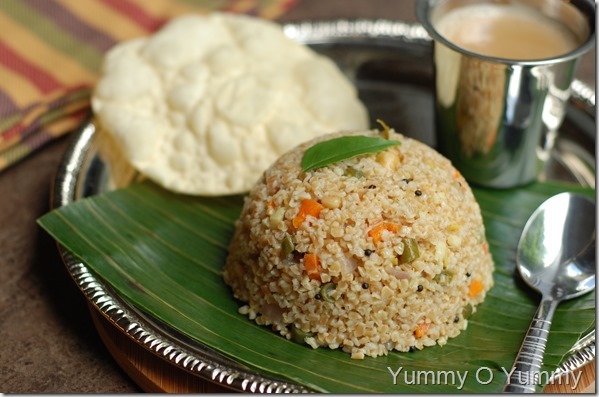 Broken wheat upma is ready to enjoy! 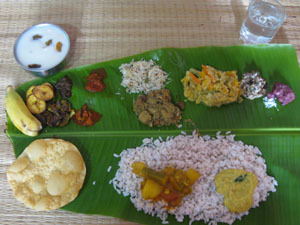 Serve with pappad and pickle or coconut chutney. Very much like my mom’s recipe. Came out well. Thanks for posting. You’re welcome! Great to know that it came out well.. Tried it yest and came out well..Thanks Maya!!! 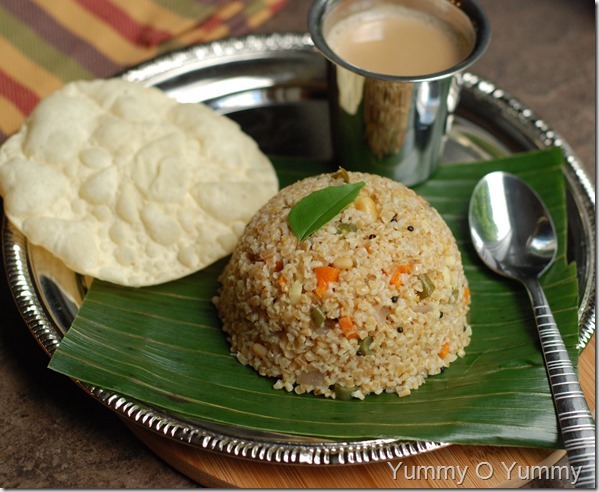 Could you please post a receipe of bread upma? can we put broken wheat in water? if yes. howmany hours? You dont need to soak it..